“The thing I have learned at IBM is that culture is everything,” asserts Louis V. Gerstner Jr., former CEO of IBM (1993-2002). Culture is the shared beliefs, rules, regulations and behaviors of a group. Every organization develops its own distinct culture -- from the smallest business to the largest multinational corporation. Management that ignores corporate culture risks leading the company down a path of turmoil and troubles. It will not be successful at organizing and motivating employees or producing stellar financial and production results. Management will end up with a host of unresolved problems hindering company productivity, damaging employee morale and impeding company growth. 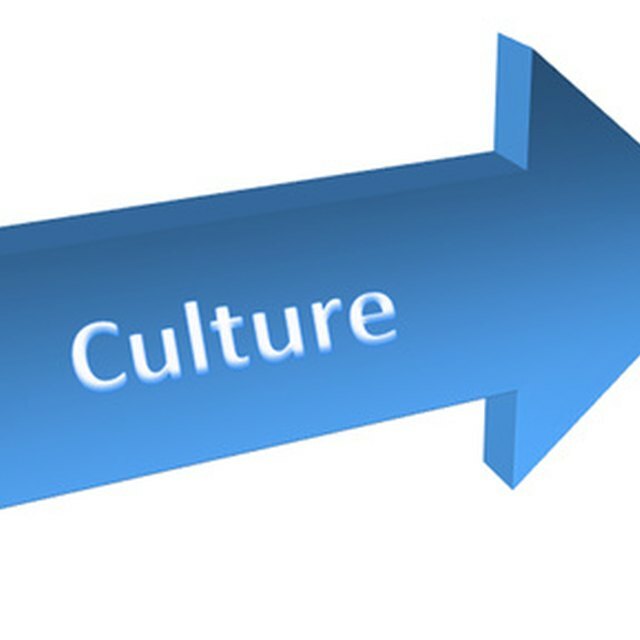 Corporate culture, sometimes termed organizational culture, is a composite of the common values, attitudes, standards, policies, performance and actions of management and employees. Corporate culture is rooted in and is an outgrowth of a company’s goals, strategies, structure and tactics. There are two fundamentals of corporate culture — formal and informal. Formal organizational culture is purposefully planned. Examples include the corporate hierarchical structure, written company policies and basic operating procedures. Informal corporate culture evolves from human interactions and social connections. Examples of informal corporate culture include informal groupings such as lunch groups and special project groups. A landmark study conducted in the 1920s and 1930s by three MIT professors at Western Electric Company’s Hawthorne plant in Chicago for the first time pointed out the importance of social interactions and groupings to successful business operations. The study highlighted the fact that informal groups develop whenever people congregate and interact on a regular basis. The groups develop their own specific structure. There is the leader of the group, the tight-knit central participants, hangers-on and outsiders with whom the group interacts. The study found that employee morale and productivity improve when people are part of a clear social arrangement, knowing exactly where they fit into the group. Social bonds are created that connect people. The individuals depend on each other and relate to each other in certain ways. Simple things such as the placement of desks, lighting and break times can take on meanings to the group that management does not realize, recognize or acknowledge. But they are important and should not be ignored. The bottom line for the company and employees is money. The company wants to make as much money as possible, and employees want a regular paycheck. Some employees are more motivated than others toward advancement. The Hawthorne study found that group think affected how individuals interpret and react to company actions. The negative aspect of informal groups is that they are resistant to change. Whether new company policies, new members forced on the group or current group members moving on, the group instinctively finds change menacing. Most people want to belong and will conform to group desires. The informal group structure controls its members and protects them from the enemy, which for workers is usually perceived as management. Formal company policies and procedures need to be introduced with the understanding that the changes will not "rock the boat." If changes are drastic enough to alter the group, the company should have plans in place to avoid problems from dissatisfied and upset group members. Employees should be courted, new policies carefully explained and their impact on individuals and groups taken into account. Innovative initiatives, especially from new executives brought in from the outside, are often ignored and eventually dropped because management has sought change by addressing only the formal corporate culture. The unwritten ideas, interactions and connections, if not considered, can undermine mandated formal change. Changes forced on unwilling participants result in declining employee morale and reduced productivity.